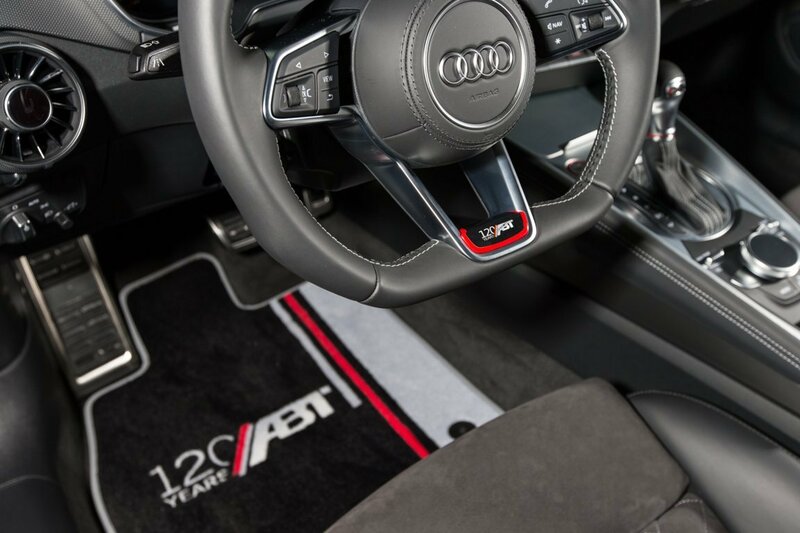 When a traditional and family-owned company turns 120, this certainly shows that its managers have never lacked ideas, stamina and power – even in troubled times. 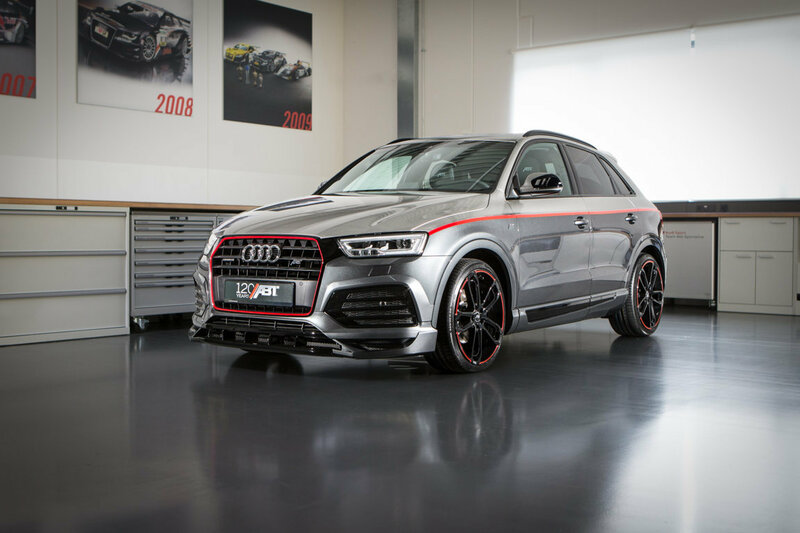 No wonder, then, that the innovative ABT Sportsline upgrades bear a special name, viz. 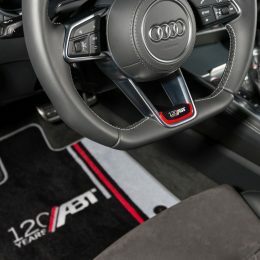 ABT POWER. 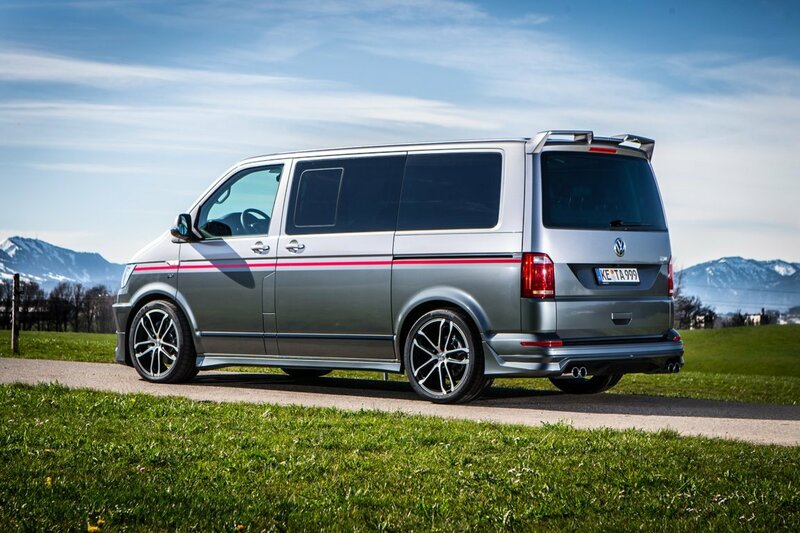 And the T6, TTS, TT and QS3 anniversary editions will, of course, be enhanced by the global market leader using its motorsports know-how. 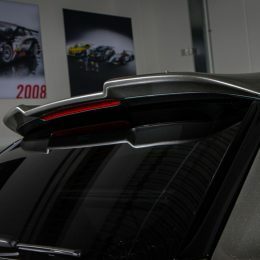 “These are flagship cars. 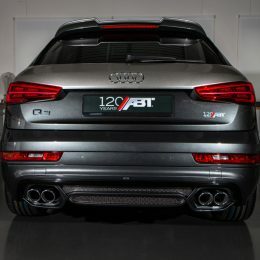 They are the culmination of all our achievements over the past decades,” says CEO Hans-Jürgen Abt. 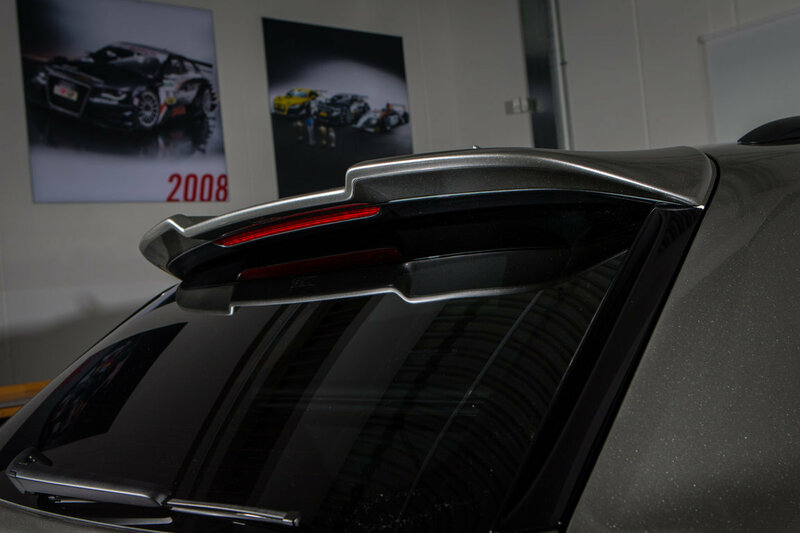 “We combine innovative power and tradition. 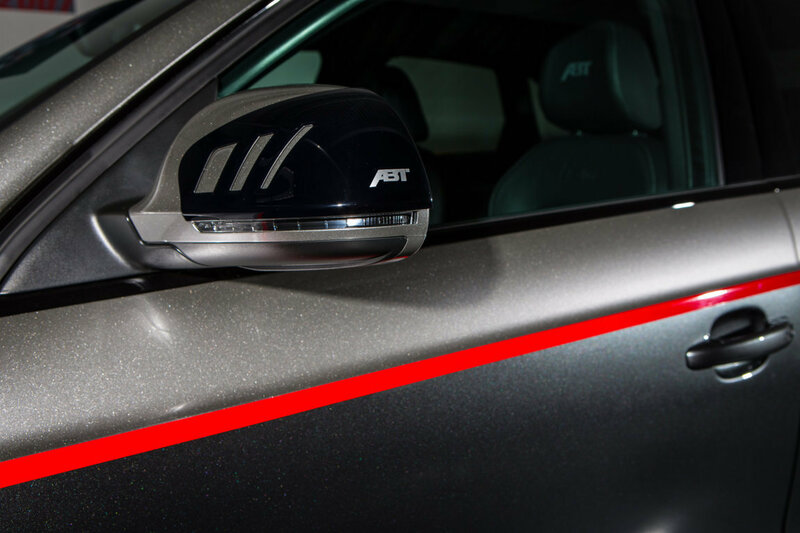 We have not worked with these brands for almost 100 years for nothing,” Abt continues. 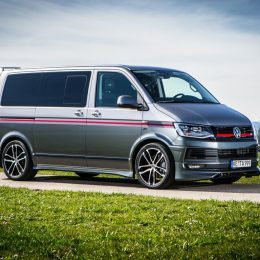 If you want to party with the happy birthday child, you can do so with these anniversary models, each limited to 40 cars and racy and dependable as ever. 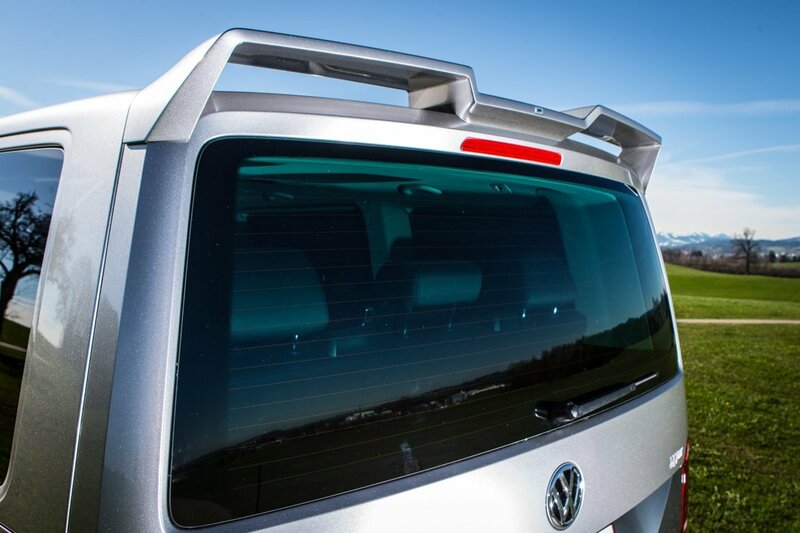 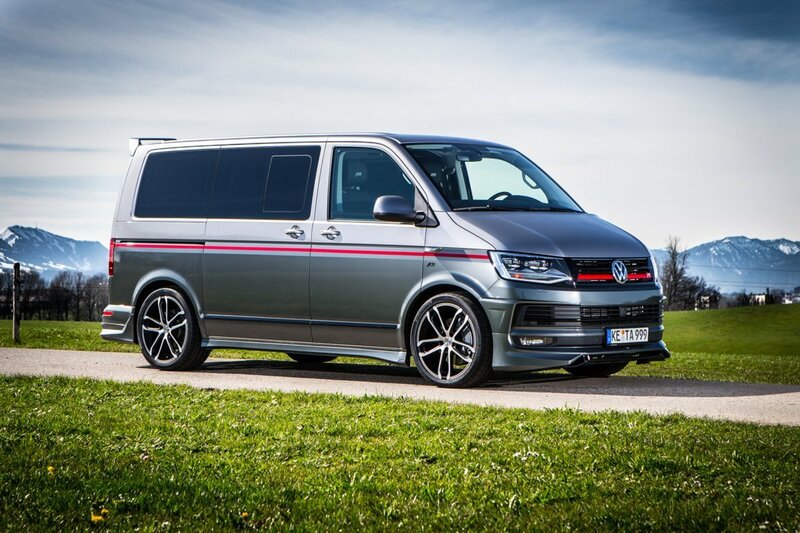 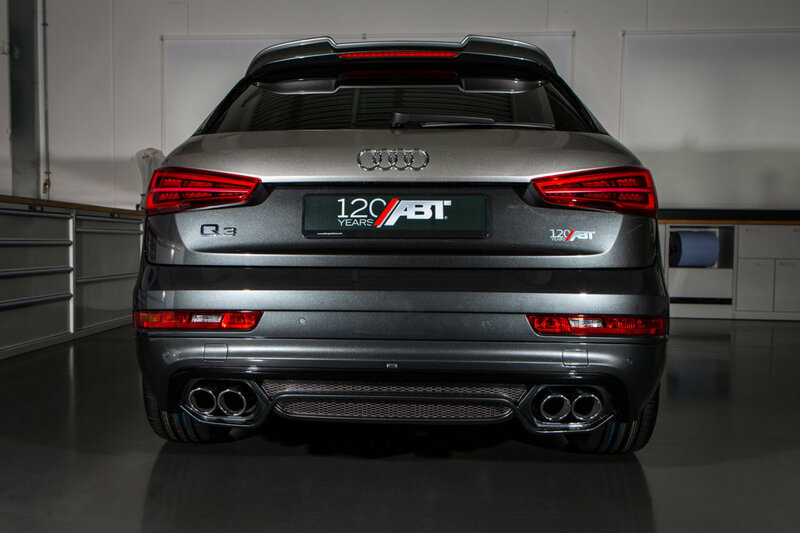 A special highlight is the ABT T6. 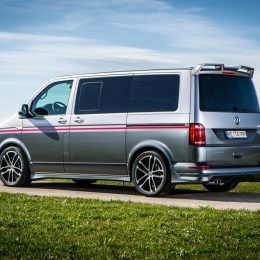 As a Multivan it combines usefulness with fun – “ABTed” even more so… The 2.0 turbo diesel is now rated 180 hp (132 kW), up from 150 hp (110 kW), with torque at 420 Nm (production car: 380 Nm), which makes it a comfortable and racy workhorse, draught horse and caravan all in one. 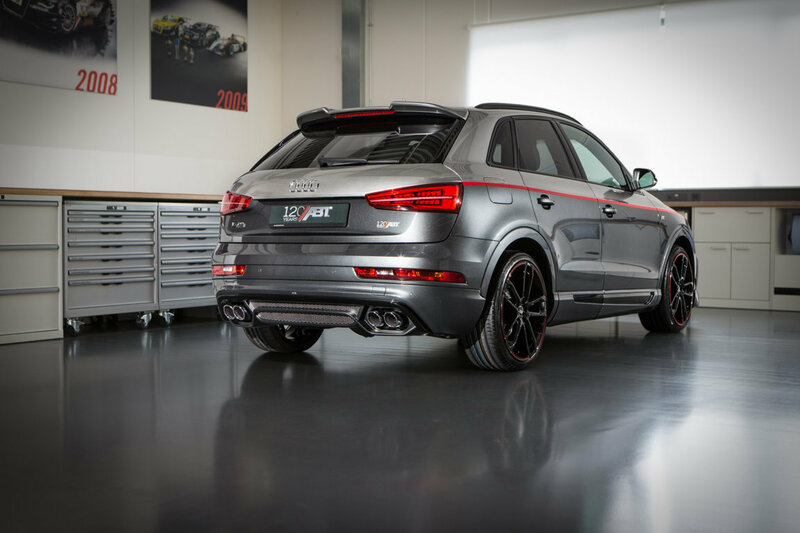 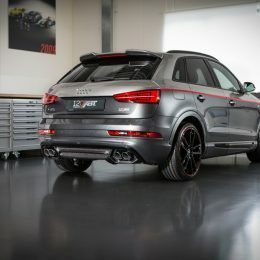 The anniversary edition has a nice blend of colours – iridium grey metallic, silver and red. 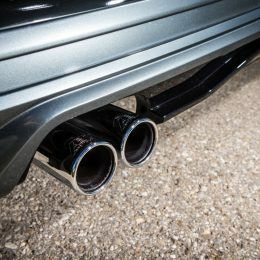 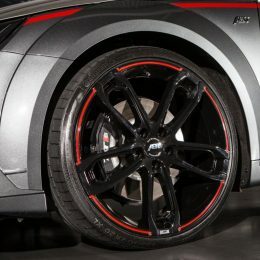 The front skirt add-ons, front grille add-ons, side skirts, rear spoiler and rear skirt set with its 4-pipe exhaust, in conjunction with the 19“DR wheels in mystic black and red, make for an assertive and extravagant car. 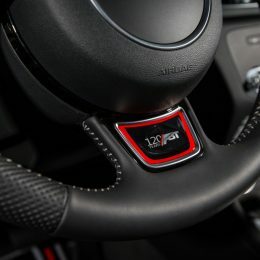 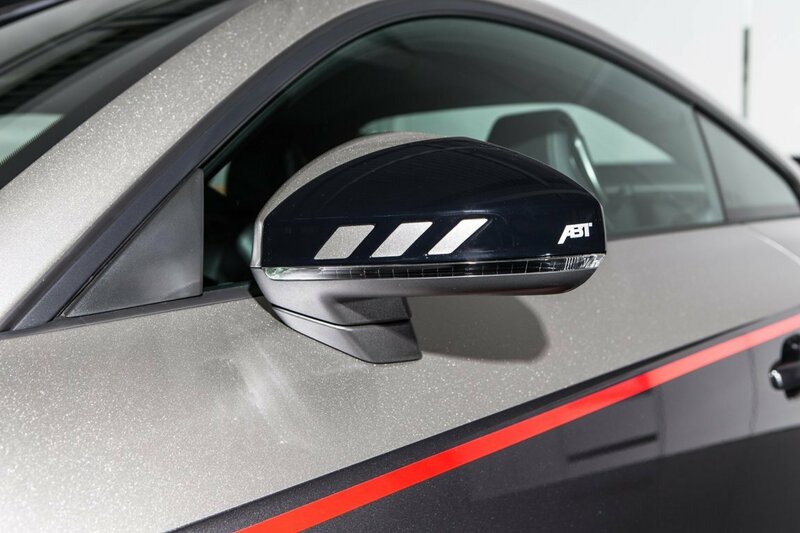 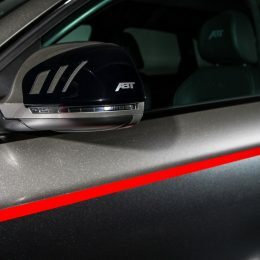 With the ABT TTS, ABT features a special sports car. 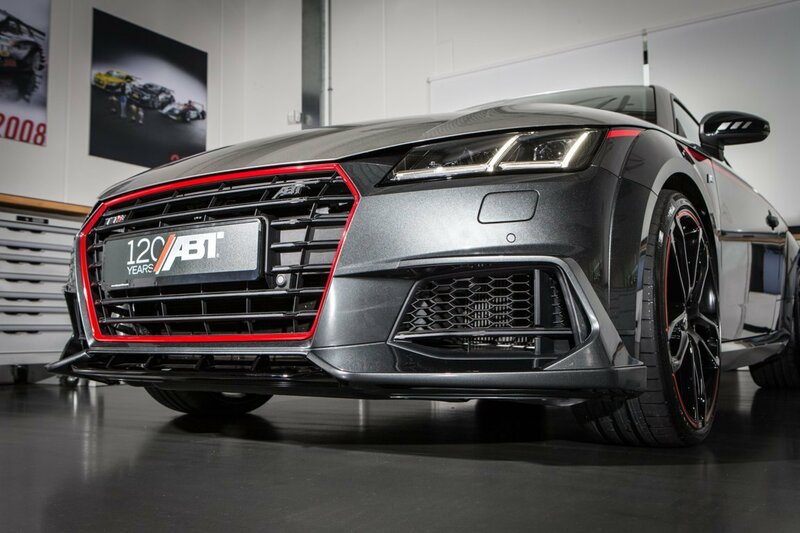 ABT POWER lends it 370 hp (272 kW), up from 310 hp (228 kW), with torque upgraded from 380 to 460 Nm. 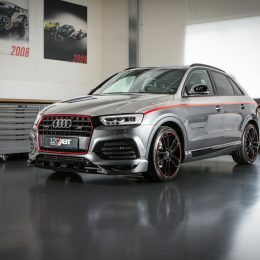 The top speed now stands at 265 kph. 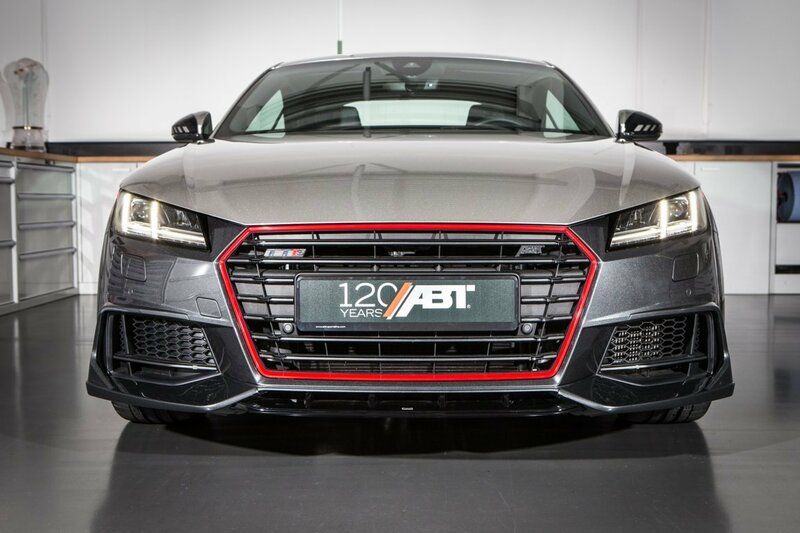 The TTS is racy even when standing still: the Dayton grey pearl paintwork fits the coupé’s silver-coloured wrap and the red elements around the front grille, as does the birthday logo. 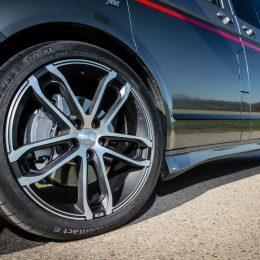 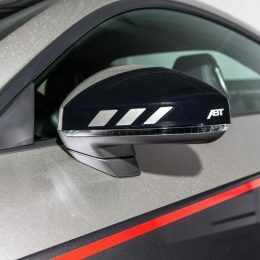 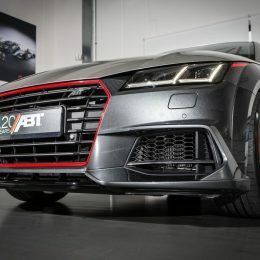 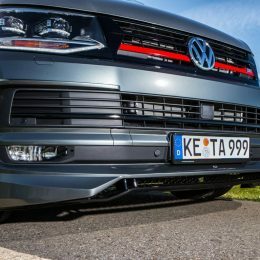 The ABT Sportsline design team specially designed the front skirt add-ons, mirror caps, rear wing and rear skirt set. 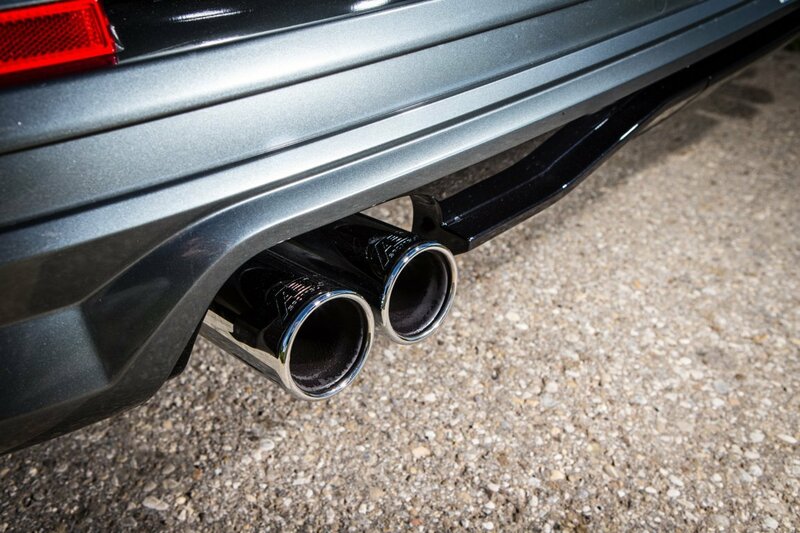 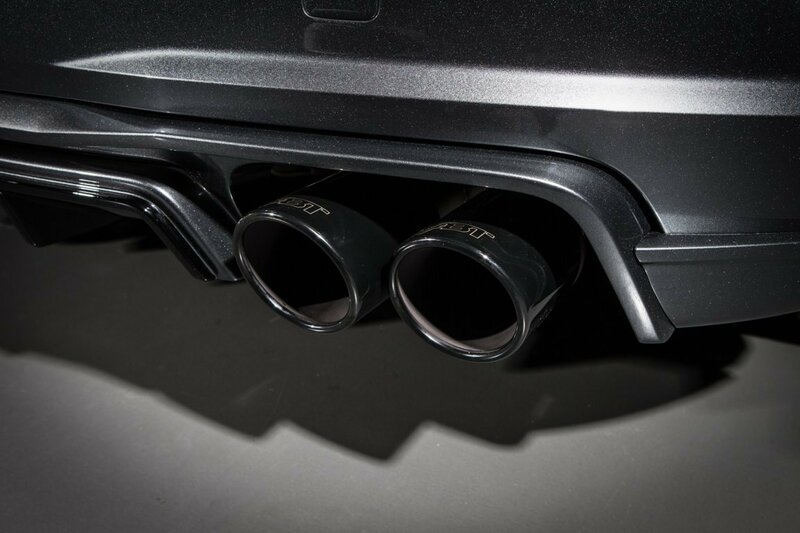 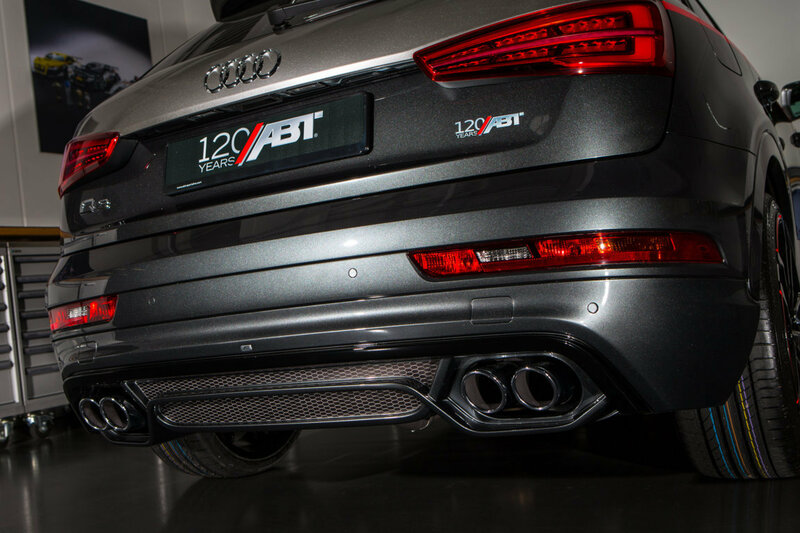 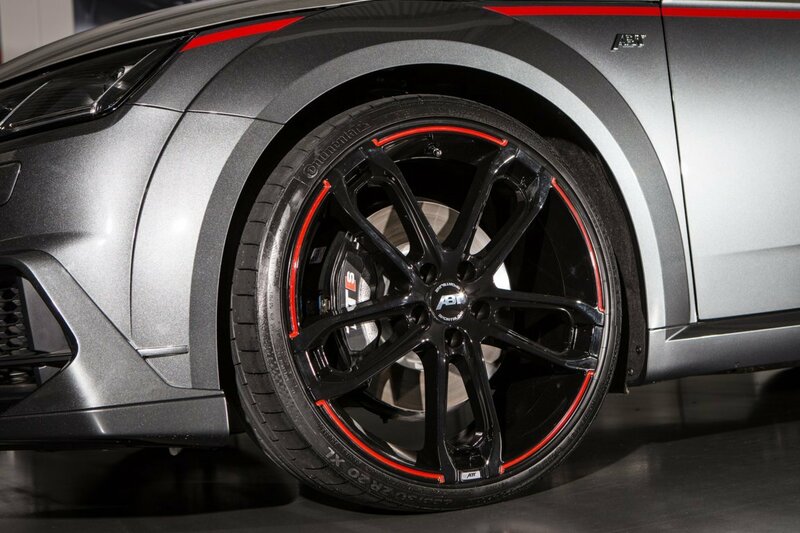 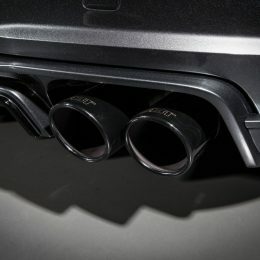 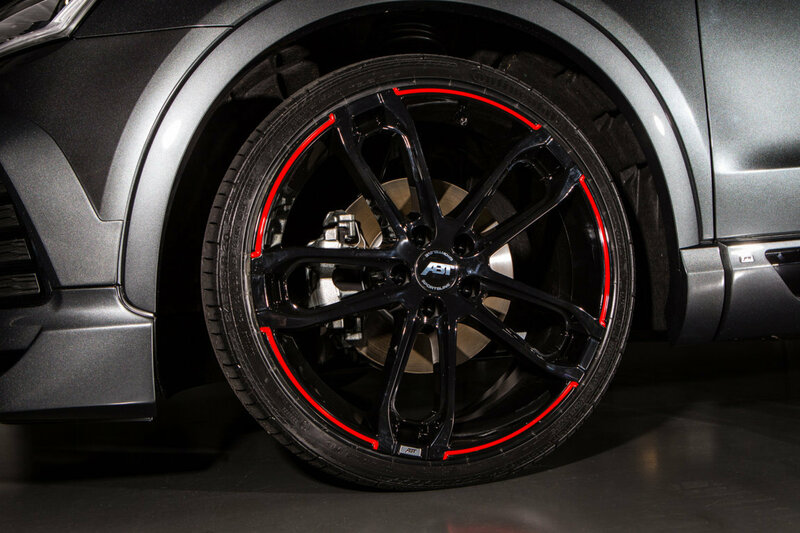 And there are the characteristic 4-pipe exhaust and the 20’’ CR sport-type wheels, underscoring the ABT TTS’s power. 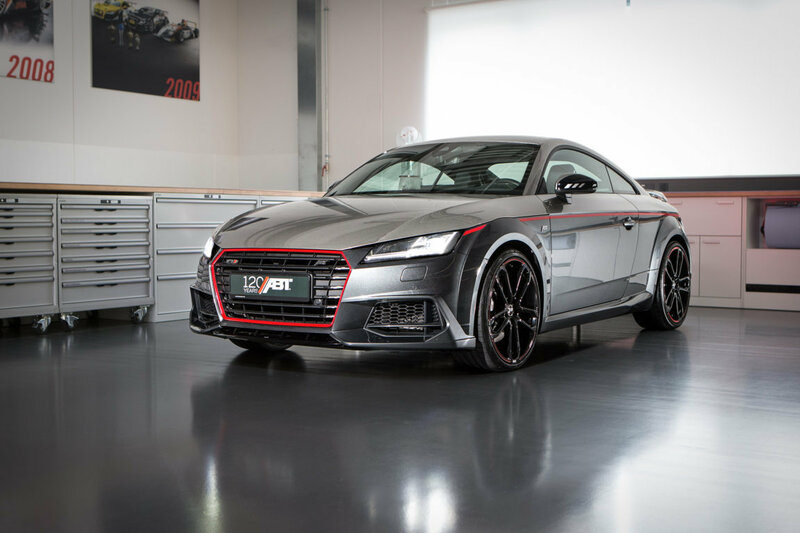 The “normal” Audi TT is also available in the TTS’s anniversary version. 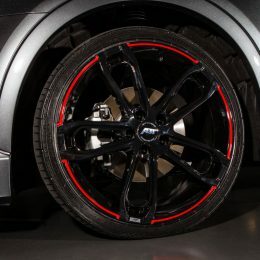 It goes without saying that this car is also a real “athlete”. 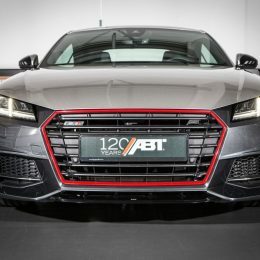 It has been upgraded by no less than 35%, from 230 hp (169 kW) to 310 hp (228 kW), with torque now at 440 Nm (up from 370 Nm) and its top speed at 260 kph. 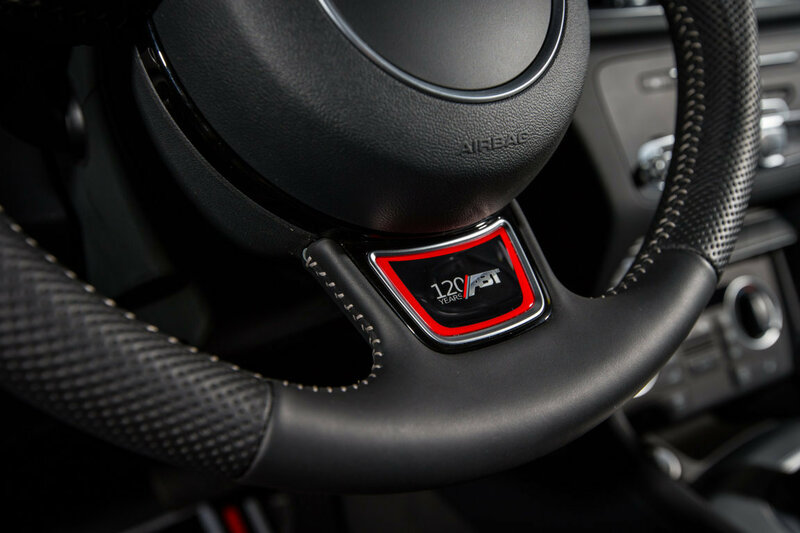 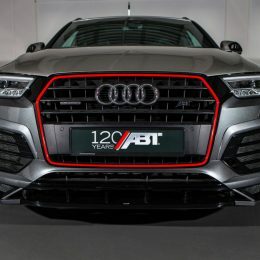 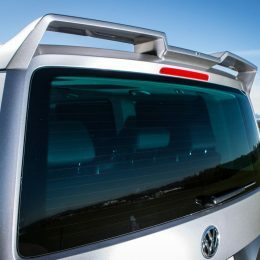 Since ABT has successfully enhanced the VW Touareg since 2002- from the very beginning, that is – the company’s anniversary calls for a special edition here as well: the ABT QS3, also in Daytona grey pearl, a silver wrap and red elements, shows that the “S” in SUV really means “sport”. 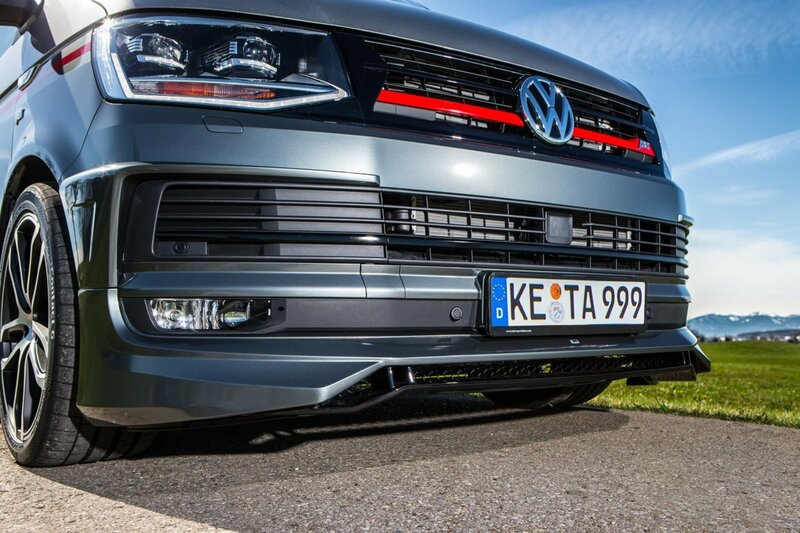 The 2.0 TDI is now rated 210 hp or 154 kW (up from 184 PS/135 kW). 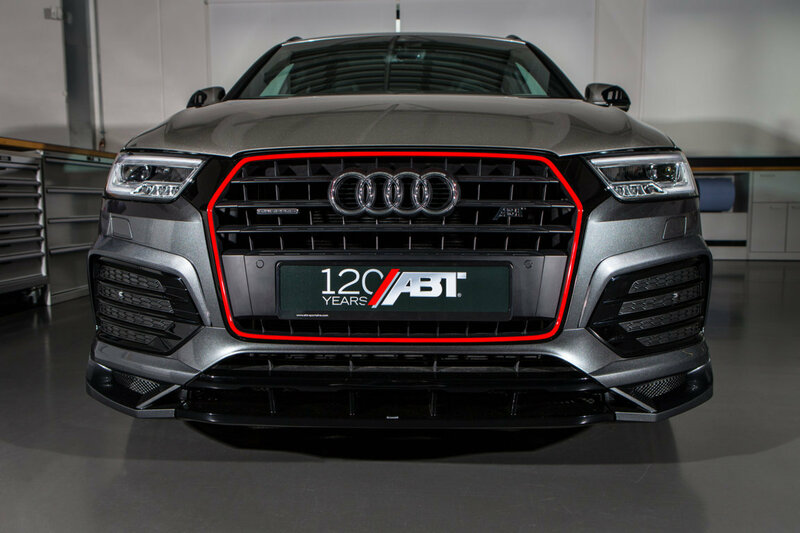 The 224 kph fast SUV is still versatile and now very torquey. 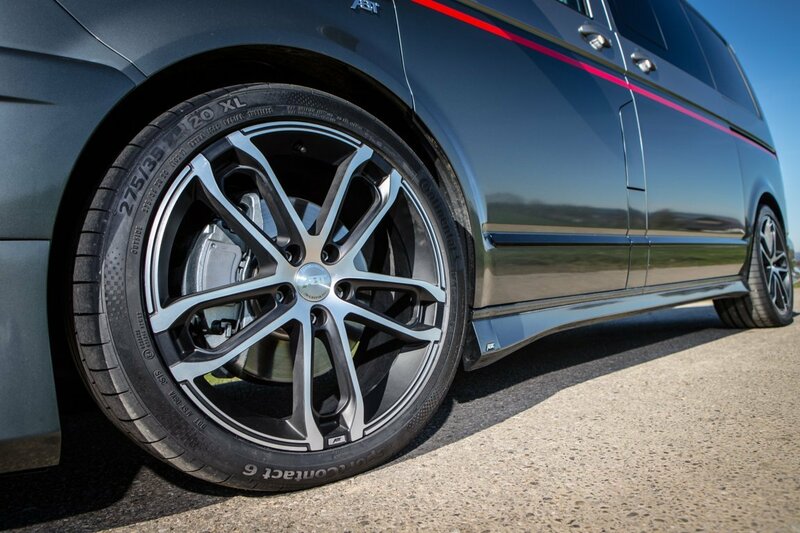 Its 20’’ CR alloy wheels make it an assertive birthday child. 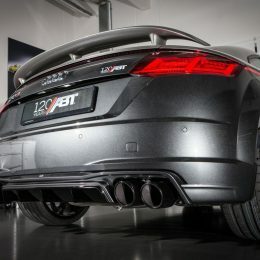 Its body kit – rear skirt set with a 4-pipe exhaust, rear spoiler, mirror caps, front skirt add-ons and door strip attachments is striking. 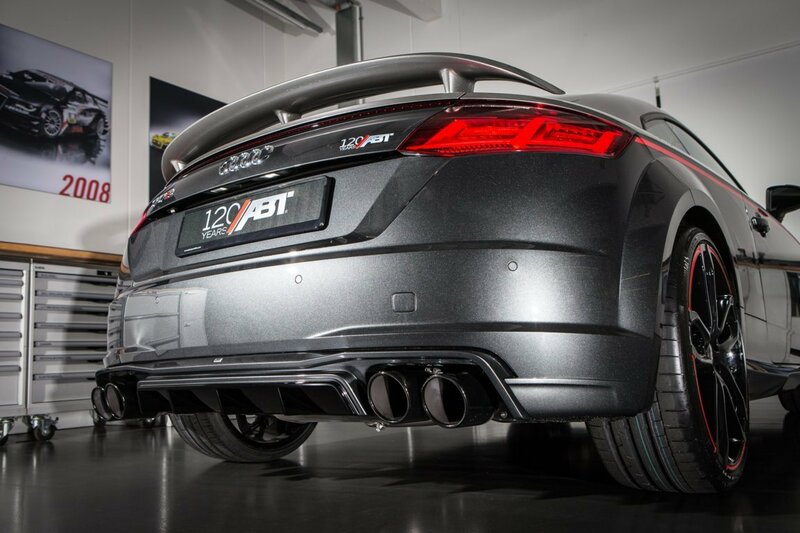 “You can’t have more ABT.“ Hans-Jürgen Abt says. 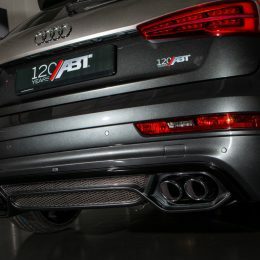 And this conclusion does not only apply to the QS3 but also to all the other great models: the TT, TTS and the special ABT T6.